This collection makes Rabbi Jonathan Sacks’ brilliant essays on the weekly Torah portion available in book form for the first time. 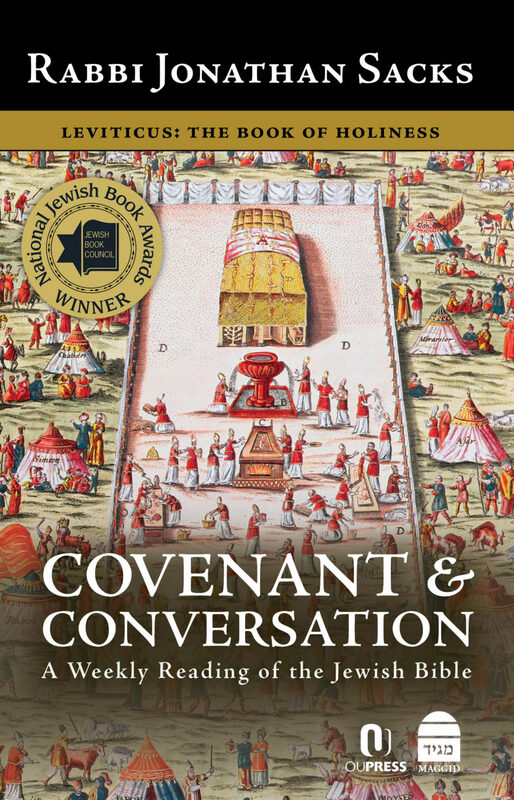 Rabbi Sacks fuses Jewish tradition, Western philosophy and literature to present a highly developed understanding of the human condition under God’s sovereignty. This third volume in the five-volume series includes several concise essays for each parasha of Vayikra. A compilation of masterful derashot…at times analytic and at others inspirational, it weaves together insights from medieval and modern Bible scholars, philosophers, historians, and Rabbi Sacks himself, as it applies the parashiyot to daily life. Rabbi Sacks is both a great scholar and a great communicator, and he has done a superb job in crafting commentary that is at the same time erudite and accessible to the average reader. Download an extract from the introduction here.